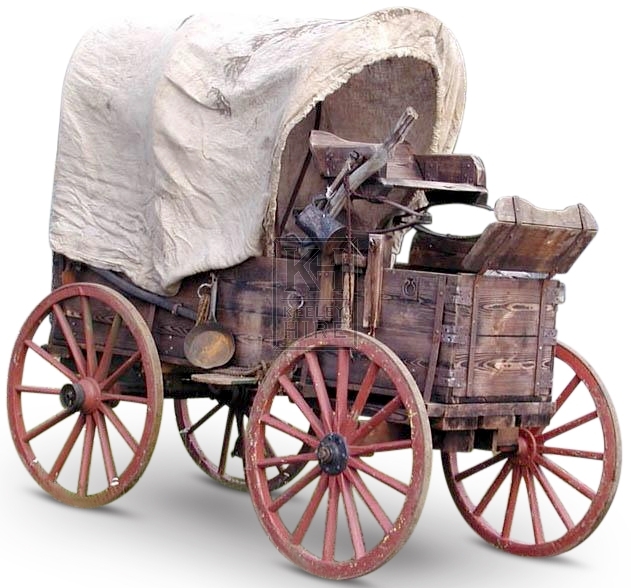 Description Wooden four wheeled wagon with canvas covering. Extra props and dressing supplied separately. 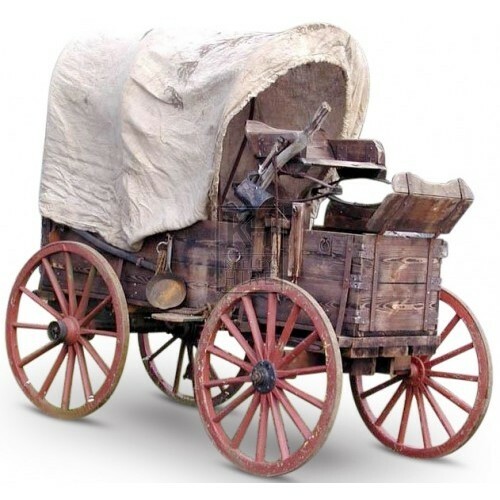 Please see item #2238 for the wagon without the cover.